It has been two straight weeks of non-stop revelations about the Gupta tentacles and interference in state affairs. The tranche of leaked Gupta emails have removed any doubt that the family is the controlling force in government. As the methods of courting and manipulating people in government and state-owned enterprises continue to be exposed, panic has set in among some of the people who are compromised or in danger of being outed for their dealings with the family. Some are now seeking legal advice and considering options to “come clean”, while others are banking on the next Zuma presidency providing continued protection for the racket. But how long before the dam walls burst? By RANJENI MUNUSAMY. The big problem for Finance Minister Malusi Gigaba and his deputy Sfiso Buthelezi – well, one of their many complex problems – is that they cannot fulfil the mandate of those who appointed them. The game is up. Whatever they might attempt to do will be exposed and bound to backfire. Now they are sitting on a bubbling volcano with allegations about their past activities threatening to explode. They are also the political heads of the department that functions as the heart of the government system at a time when the country has to contend with three credit downgrades, a technical recession and double junk status. On Monday Gigaba will address a media briefing on government interventions to cope with the third credit downgrade and recession. But what he will have to confront are the serious allegations of corruption relating to the Transnet locomotives contract, in which Gigaba himself is implicated, and accusations of criminality at the Passenger Rail Agency of South Africa (Prasa), involving his deputy Buthelezi. Since Gigaba was appointed, he has had to consistently explain his links to the Guptas and respond to allegations that he is captured. The information streaming out of the leaked emails will not make his job any easier. His success as finance minister is dependent on gaining public and investor confidence, which will remain elusive for as long as the allegations of corruption keep coming. Those who have been exposed as being part of the captured network might think they have protection at the highest level. They could therefore assume that all the incriminating information pointing to them facilitating deals and benefiting from the Gupta network will come to naught. The response of the Gupta aides and facilitators caught in the cyber swirl, as well as the enablers including the Zumas, Magashules and numerous minions at Eskom, Transnet, Denel and Prasa, has been to lie low and pretend none of this is happening. Questioning the authenticity of the emails is no longer a viable strategy with numerous people, the latest being the chief operations officer in the Presidency Lakela Kaunda, confirming the correspondence with the Guptas to be true. 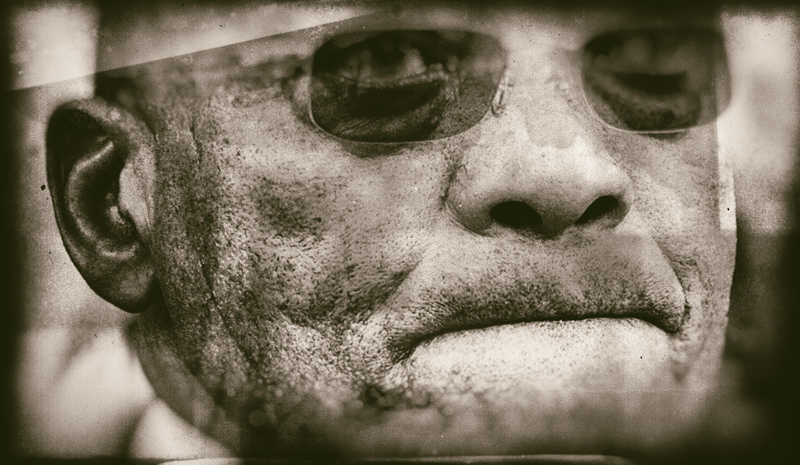 For as long as President Jacob Zuma remains in control of the state, particularly the criminal justice system, the possibility of the state capture network being broken open, properly investigated and prosecutions arising is minimal. That provides cover to all those implicated, for now – including the Gupta family who have yet to respond to the leak of their emails. But what happens when Zuma is no longer ANC leader and the pressure intensifies and succeeds for him to be removed as president? Where will Gigaba, Buthelezi, Brian Molefe, Mosebenzi Zwane, Des van Rooyen and everyone else who features on the Gupta grid be in a year’s time? Zuma’s delaying tactics on the Public Protector’s State of Capture report means that the appointment of a judicial commission of inquiry could drag into next year. What happens when Zuma is no longer in charge of appointing the inquiry and it falls to someone else to do so – say Cyril Ramaphosa, to pluck a name out of thin air? What if Ramaphosa decides he should ask Chief Justice Mogoeng Mogoeng to nominate the judge to chair the commission – as former Public Protector Thuli Madonsela had recommended? Or if he simply decides to appoint a ball-busting judge on his own? Where would that leave the sorry bunch of captured cadres? The bad news for them is that they are bound to be hung, drawn and quartered eventually. The evidence of corruption, racketeering and money laundering exists. The emails are simply the appetisers in a full buffet of paperwork, transactions, contracts, memos, minutes and records of payments that trace the operation of the Gupta empire over the past 10 years. In addition to numerous counts of corruption and money laundering, a whole range of people could go down for defrauding the state and moving money illegally. Then there are the lies told to Parliament and breach of the ministers’ oath of office by sharing secret information and acting as intelligence gatherers for the Guptas. For those who colluded to sell South Africa’s sovereignty, the charge of treason will complete the compendium in the indictment. The only safety net is the election of Nkosazana Dlamini-Zuma as ANC president to ensure none of this happens. That is a massive gamble, particularly in light of Dlamini-Zuma’s campaign losing momentum and being backed by the very people who benefited from the proceeds of corruption. Unlike the Guptas, most of the people implicated do not have alternate countries to occupy. Besides, even if they do relocate, they would have to be dragged from their gold-plated lodgings in Dubai if they were indicted. The political conspiracy cover is all played out. The imperialist powers in the world are caught up in their own quagmires and cannot be blamed for engineering South Africa’s state capture problem. Convoluted arguments about white monopoly capital would not constitute an admissible defence in a court of law. With Bell Pottinger abandoning their post, those implicated are unlikely to come up with another narrative to counter or explain away state capture. And so, reality is starting to dawn. Daily Maverick understands that some people who have been mentioned and implicated in the leaked emails have been seeking legal representation should they face charges. Others are seeking advice on how best to admit their involvement before they are fingered. The email leak has also caused consternation among people who have had contact and dealings with the Guptas that have not yet been exposed. There is worry about what will still be exposed and what others looking to protect themselves might confess to. Kaunda’s statement to the Sunday Times, “I am not captured”, gives acknowledgment from the highest office that state capture is a phenomenon stemming from dealings with the Guptas. The comments by Ekurhuleni mayor Mzwandile Masina to Zuma at the Umkhonto we Sizwe Military Veterans Association’s national congress on Friday directly links the president to the Guptas and their illicit activities. The edifice is crumbling and people are afraid about what is coming next. Because they can be of no further use to the Guptas, will the family still provide funding for their upkeep and political campaigns? Without campaign funding, will their political survival be under threat?